Why Consider Investing in Energy? Is investing in energy a good idea? Here’s a breakdown of how to do so and why it could be profitable for resource investors. Energy surrounds us in our everyday lives from the moment we flick on our lights to the time we settle into bed. We use it to warm our homes, drive to work, communicate and much more. Different tasks require different types of energy. For example, oil and gas are often used to create heat, while nuclear reactors use uranium to generate electricity. Renewable energy sources like wind, solar and hydropower are also gaining traction as ways to generate electricity, and lithium is increasingly being used in batteries. Because energy is so necessary to all aspects of life today, investing in energy is becoming a popular choice for investors. But what kind of energy is the best to invest in? Different investors have different needs, and it’s important for those interested in the energy space to do their due diligence. 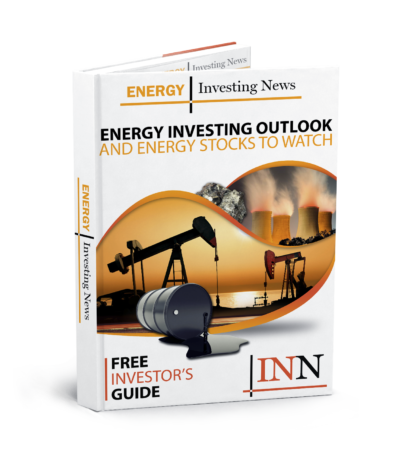 Ready to profit from the energy market in 2019? To help investors make the right decisions, we’ve put together a brief overview of the oil, gas, uranium and lithium markets — all are popular sources of energy today, and may be good investment choices. Crude oil and natural gas have been key sources of energy for years, and today they are ubiquitous sources of energy throughout the world. Both occur naturally, and are in a class of chemicals called hydrocarbons. The two are generally found in close proximity to each other deep underground in rock formations; exploration companies drill wells to find the fuels, then extract them. Those watching the oil space know that oil prices are often volatile. Indeed, in just the past decade oil prices have seen an incredible range — prices soared past $140 per barrel in 2008, then crashed steeply from the end of 2014 to the beginning of 2016. At their lowest, prices were below $30, though since then they’ve recovered to trade between about $50 and $70. Such price swings are the result of a variety of factors, and in this article Forbes contributor Michael Lynch does a good job of outlining some of them. For example, he notes that oil consumption data is often not reported in a timely manner, and comments that the Organization of the Petroleum Exporting Companies, better known as OPEC, can influence prices. Even the weather can have an impact. Gas prices have also been volatile in the last decade. Like oil prices, gas prices reached their highest point in the last 10 years in 2008, when they were above $13 per MMBtu. Their lowest point of below $2 came at the beginning of 2016; currently gas prices are around $3. As with oil prices, gas prices are affected by a number of factors. However, weather has more of an effect on gas prices than it does on oil prices. Given that volatility, investing in oil and gas can be daunting. But for some investors it’s an exciting prospect — after all, while both spaces have seen incredible lows in the last 10 years, they have also seen incredible highs. Click here to learn more about how to invest in oil and click here to learn more about gas investing. Uranium is a heavy metal that occurs in most rocks in concentrations of 2 to 4 parts per million, meaning that it is as common in the Earth’s crust as tin, tungsten and molybdenum. It is a cleaner and more efficient source of energy than oil and coal, and as noted is used to power nuclear reactors. Despite having advantages over other more polluting fuel sources, uranium has some downsides. Most notably, nuclear reactor accidents can be devastating. For evidence, investors need look no further than the 2011 Fukushima disaster in Japan — a major earthquake caused a tsunami that ultimately led to meltdowns at three reactors and to the release of radioactive materials. After that incident concern about nuclear power increased, with Germany even announcing plans to phase out nuclear power. However, uranium is by no means out of the picture as a source of energy. Japan is slowly bringing its reactors back online, and has added further safety mechanisms to reduce the likelihood of future disasters. Overall, more and more reactors are being built worldwide — as of September 2018, there were 450 reactors operating globally, and over 50 being constructed. Even so, uranium prices are currently in a slump; in fact, 2016 was one of the toughest years for uranium in recent memory. The uranium spot price hit a 12-year low of $18.75 per pound that year, an unexpected turn of events for many in the sector. Fortunately, many experts believe that the bottom is now in, meaning that the uranium price will rise moving forward. While it may still be awhile before uranium reaches its high point of close to $140, investors who believe in the future of nuclear energy may want to consider investing in uranium. For more information on how to invest in uranium, click here. Lithium is a soft, silver-white metal that belongs to the alkali metal group of chemical elements. It is the lightest metal, and the least dense solid element. It has many applications, but it is its use in lithium-ion batteries that has been attracting attention in recent years. These batteries are used in everything from cellphones to laptops to electric vehicles, and lithium demand from the battery sector is growing rapidly. Globally, lithium-ion battery production is set to increase significantly in the coming years, with Chinese megafactories leading the charge. Other megafactories run by companies like Tesla (NASDAQ:TSLA) will also contribute to increased output of lithium-ion batteries. There are a few major producers of lithium, but growing demand has prompted many smaller lithium companies to enter the exploration space. Because it is not possible to invest in physical lithium, many investors interested in lithium invest in these exploration companies. Their hope, of course, is that they will eventually go on to supply the world’s growing number of lithium-ion battery producers. Lithium is not traded on the open market, meaning that it is hard to gauge prices for the metal. However, there are at least some lithium experts who occasionally provide information on pricing. Overall, the metal may be a good investment choice for those who believe that lithium production will need to increase in order to keep up with rising demand from lithium-ion battery producers. For more information on investing in lithium, click here. Get the latest information about companies associated with Energy Investing Delivered directly to your inbox.